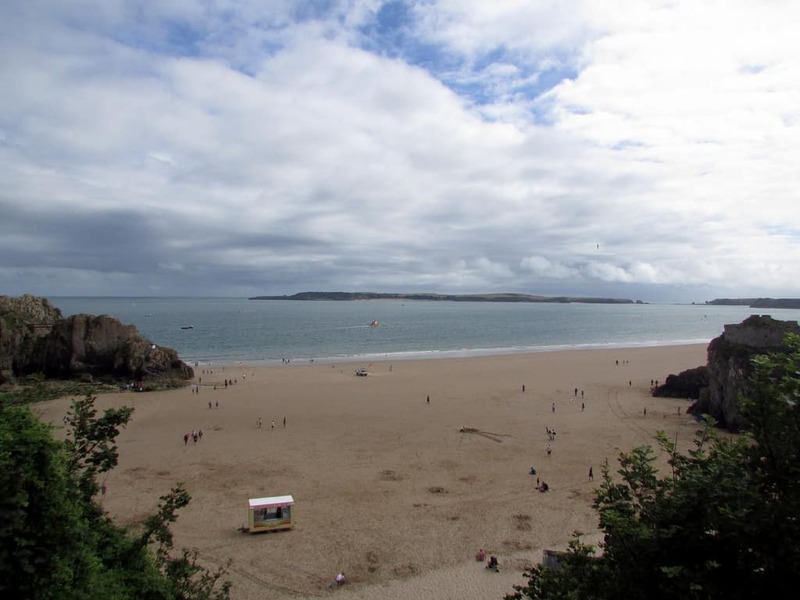 Tenby in Pembrokeshire for 4 kms of unspoilt beach this Summer! Tenby is a gorgeous coastal town in South West Wales where you can wander through the cobbled streets enjoying the gaily coloured properties and ocean views. This area is known as Pembrokeshire and lies on the west side of Carmarthen Bay in the United Kingdom. What we love about Tenby is the four kilometres of sandy beaches and all the lighthouses! They certainly get the tourists flocking in and are really busy in the Summer months but despite that traffic, they are still largely unspoilt with plenty of cafes and restaurants to keep you well fed and watered during a long day sunbathing! Having said that, if you’re tired of lazing around or just not a real beach person then there is a lot to see and do here from hiking the Pembrokeshire Coastal Path, sailing, exploring islands, 15th Century churches and museums! There’s plenty of good shopping in this seaside town while you enjoy the old architecture of the castle walls and visitors often compare the feel of the town to that of the French Riviera. There are thriving arts, crafts and locally made goods stores as well as the usual supermarkets for food. If it’s raining or just a bit dull outside then take the family to see the glassblowers at work or for a hectic day at the blue lagoon water park where there are indoor pools and a wave maker for the teens! The boys will love Battlefield Live, an outdoor combat gaming centre where infrared light is used to ‘shoot’ your ‘enemy’! Mums and teen daughters could while away a few hours in one of the many beauty spas having facials, pedicures and massages or amble through the many art galleries stopping for tea and cake on the way! If you’re a golfer there is also a decent 18 hole course where you can join a four-ball while the rest of the family visits one of the many interesting sites. Mark the 29th July in the diary while you’re there as it’s the first of Tenby Round Tables legendary Summer Spectaculars – the second is on the 12th August – and it will thrill you with entertainment, music, fireworks and stalls for everyone! If you’re in Tenby for a while, why not hop across to Ireland and do a bit of exploring for a day or two? Stena Line offers frequent sailings to Rosslare in around 3.5 hours and it’s a relaxing way to travel and again, a lot to see and do once you’re there! Taking your dog with you is never a problem in Pembrokeshire as it’s a dog-friendly area with pubs, restaurants and beaches allowing furry friends and the area has many dog-friendly walks too. Next Next post: Where is the nearest beach to Birmingham? Been coming to Tenby for 33 years,travel the 200+ miles at least twice a year.Think we’ve visited every single month over the years & we love them l.People are so friendly,the atmosphere so laid back,beaches gorgeous,sea great to swim or paddle in.Shops fantastic especially Equinox,pubs lovely with great choice of food & beer,our fave The Buccaneer.Dennis cafe a must for the best breakfast with a view to die for. Think by now you’ve guessed we love Tenby,our kids have grown up holidaying here & there’s nowhere that can beat it for them.